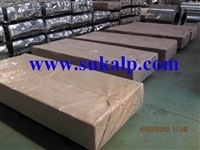 Our Corrugated Galvanized Steel Sheet is mainly used as roof and wall for industrial buildings and portable buildings. We can do thickness from 0.14mm to 1.00mm, length is up to your specific request. The raw material can be pre-painted galvanized steel sheet, hot-dipped galvanized steel sheet, pre-painted alu-zinc steel sheet, alu-zinc steel sheet and aluminium sheet. Please do not hesitate to get in touch with us for more information if you are in the market for corrugated sheet for roof/wall, as there are so many models come into our business scope. We will send you comprehensive information to you when you have any enquiry. Thanks for your enquiry and interest.